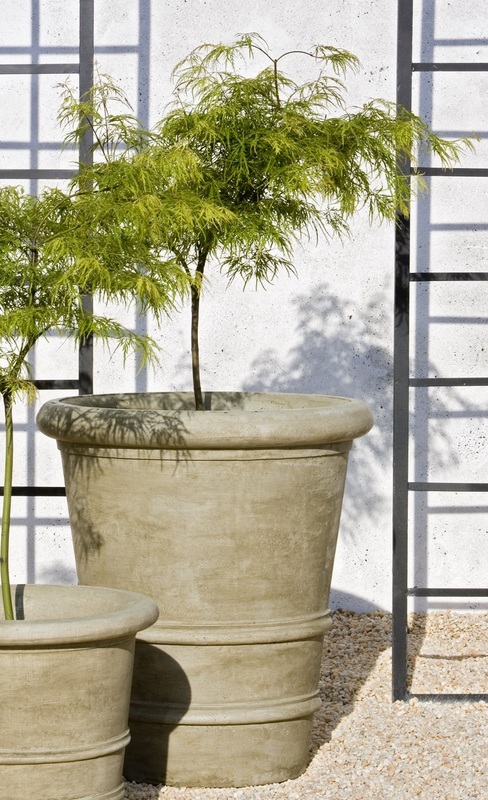 The Urbino Planter is a tall tapered cast stone planter, perfect for a small tree. It is pictured next to the smaller Lucca Planter. DIA 25.5" H 28" | 233 lbs.